by The Mechanic's Wife | Jul 7, 2015 | Advice for Vehicle Owners, Did You Know? You’ll often read about the importance of building a relationship with your mechanic on this blog and it’s not because I’m married to one. Rather, it is because someone who is familiar with your vehicle, its maintenance and repair history, and who knows you will be more likely to take the greatest care of you and your car. This trusting relationship will reduce the stress of the inevitable major repair and you’ll be able to drive down the road confident in your vehicle’s performance and safety. I speak fondly of Clunky, my yellow Neon, because I no longer have her. I didn’t have a trusted mechanic to tell me she was worth keeping; that the price for fixing her was worth the miles she still had left. I didn’t have a trusted mechanic to advise me against my next car (whom we will simply call Zelda in order not to hurt the feelings of others like her) due to her impracticality. 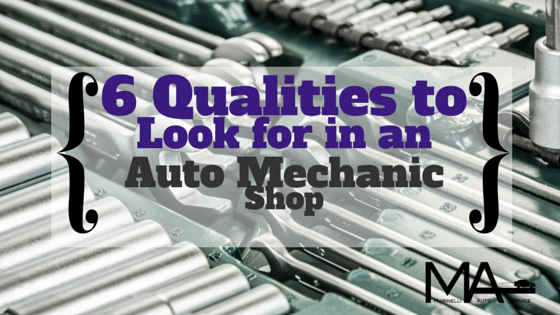 Fortunately, I don’t have to worry about that anymore but I realize that not everyone can marry a good mechanic, so I hope these tips will help you find a great one!